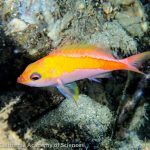 We’re used to wrasses being colorful, charming fish that scoot around the reef, generally getting on with things. They might be flashing at each other, maintaining a harem or cleaning skin parasites. Rarely are they enormous. 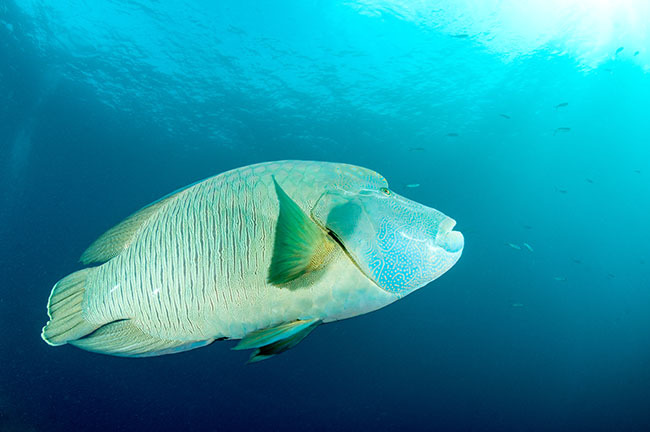 Meet the Napoleon Wrasse, one heck of a giant labrid that has a massive personality to match its bulk. Like many wrasse species, Cheilinus undulatus starts life looking very different from its adult form. 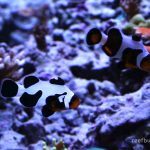 In the case of the Napoleon, the juvenile is a drab fish with white bands and black scale markings over a pale color, just perfect for hiding in and amongst hard corals. The terminal phase adults are quite delicately colored, but its their potentially two-meter-plus size that interests divers and photographers the most, for obvious reasons. I understand their prominent ‘bump’ is reminiscent of a certain Mr N Bonaparte, late of France and St. Helena, when seen in profile and when wearing a hat. Personally, I don’t see it, but no one asked me. 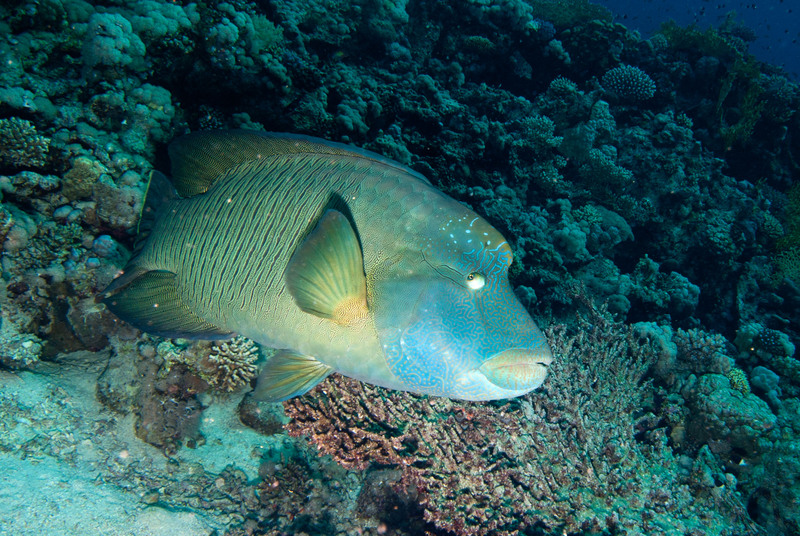 The fish is also called the Hump-head or Maori Wrasse. 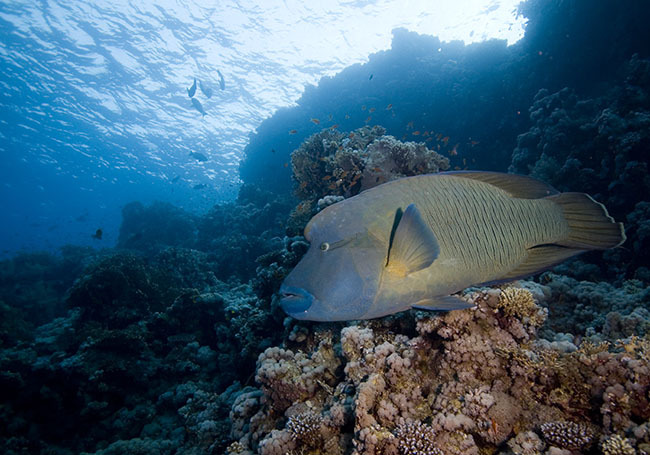 Napoleons are quite inquisitive and will approach divers in areas where they feel secure. In the past, divers would tempt them with boiled eggs, though this is frowned upon nowadays by many, but not all, dive guides. Despite this change in attitude towards fish feeding, many fish still follow divers around hoping for handouts. 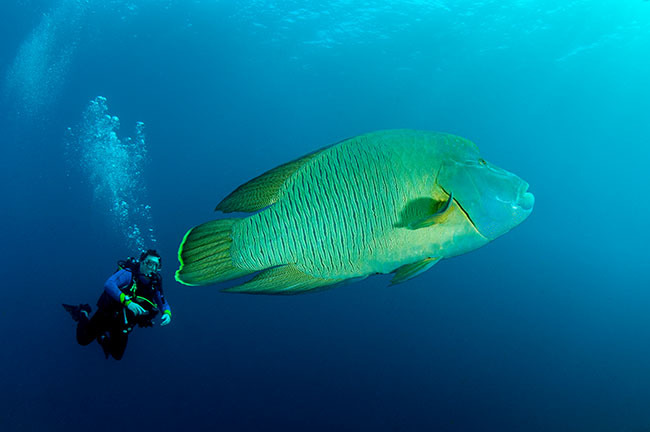 Some divers even carry golf balls to tempt fish with long memories closer. 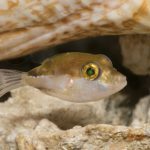 The species has been heavily fished across its range to satisfy the demand for the live reef food fish trade. In areas where the fish is exploited commercially, individuals have learned to avoid humans. 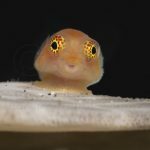 The species is now listed as Endangered by the International Union for Conservation of Nature and Natural Resources (IUCN). It is reported as having a low reproductive rate (a common feature in long-lived animals). Females can live for over thirty years. One source suggests that the fish is often caught just at the point of reaching sexual maturity, a size that is preferred by consumers. Cyanide is often used. 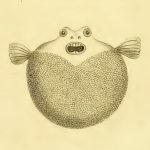 Napoleons eat a wide variety of prey animals including urchins and star fish, they may also predate upon the problematic Crown-of-thorns Star.